Get a Free Life Insurance quote with the best life insurance rates. Search here to get a low cost and affordable life insurance quote. Care for your loved ones even when you are gone. We can save you money on cheap and affordable life insurance from some of the best life insurance companies . If you live in the Sacramento, Folsom, Rocklin, Roseville, Rancho Cordova, Elk Grove, Chico, Redding, San Francisco, Oakland, San Jose, Cupertino, Long Beach, Fresno, Los Angeles, Santa Ana, Santa Barbara, Anaheim, or the San Diego regions or anywhere else in California, we can provide you with the best low cost life insurance to meet your needs. We have the cheapest and most affordable life insurance policies available. Request an online quote now If you want the best in term life insurance quote and insurance prices available. Fill out the quote form for Universal Life, or Whole Life Insurance Quote. You want the best price quote to buy Term Life insurance, International Term Life Insurance, Universal Life, or permanent Life ? Barragan Insurance Agency offers all types of life insurance … Get a free online life insurance quote or call us at 916-984-9320 with no obligation to buy. Request your free life insurance quote today! Qualify for Preferred Term Life, International Term Life Insurance Quote, Universal Life, or Permanent Life Insurance. Receive the lowest and best life insurance rates. There are lots of things to consider when choosing a life insurance policy. Barragan Insurance Agency will help you make the decision easier by shopping the life insurance for you and providing you the best coverage at the best rates available to you. We will evaluate the offerings of life insurance providers and other life insurance products to find you the best value. The decision to buy life insurance is one of the most important decisions you may ever make. It may not be a difficult decision to make but it is important one. If you live in California, there are many different types of life insurance policies available to you. In the event of your unfortunate and untimely death, let a life insurance policy provide you with the peace of mind that comes from knowing your loved ones are taken care of by having a life insurance policy in place. Term life insurance offers higher coverage at a more affordable cost when the need for protection often is greatest. Universal life insurance is a form of permanent life insurance offering the security of a guaranteed death benefit for your loved ones. Universal life policies accumulate tax-advantaged savings, or cash value, which is a return on a portion of your paid premiums invested by the insurance company. At your death, the benefit is paid to your beneficiaries tax-free. Universal life is a flexible permanent policy that allows you to customize your premiums and death benefit from year-to year. Though you have the option to adjust premiums and increase or decrease the death benefit depending on changes to your coverage needs, universal life is often sold as a level-premium, life-long alternative to term life insurance. Premiums for universal life insurance are generally higher than premiums for a term life policy. There is the risk of the policy lapsing if the premiums are not paid or if the cash value of the account is no longer sufficient to cover the cost of the policy. A secondary guarantee can be added to a universal policy to avoid the cash value lapse issue. A guaranteed universal life policy includes a ‘no-lapse guarantee’ where the policy will remain in-force for the guaranteed period as long as minimum premium payments are made. 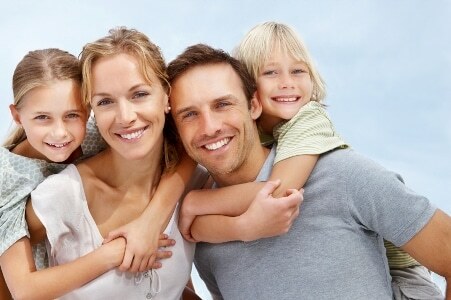 Guaranteed universal life policies have become a convenient form of final expense insurance. Also known as ‘funeral’ insurance, final expense policies typically have a low face value and are purchased to cover the cost of burial and other final expenses such as taxs. These policies are typically available for issue up to age 75-90, assuring coverage for those who don’t want their loved ones to shoulder the financial burden of a funeral in their time of grief. If you’re in need of a life insurance policy for long-term protection, universal life may be the type of policy that’s right for you. If you don’t plan on keeping your policy long-term, or if you know you’ll have a need for additional insurance for a set period of time only (such as to provide protection for a mortgage), you may want to consider term life insurance instead. Life Insurance Center for Sacramento and the Northern California region including Folsom, Elk Grove, Rancho Cordova, Carmichael, Antelope, North Highlands, Gold River, Fair Oaks, Sacramento, El Dorado Hills, Natomas, Anatolia, Kavala Ranch, Rocklin, Roseville, Lincoln, Loomis, Granite Bay, Galt, Natomas, Davis, Dixon, Woodland, West Sacramento, Citrus Heights, Orangevale, Stockton, Los Angeles, San Diego, San Francisco, Long Beach, Fresno, Oakland, Santa Ana, Anaheim, Modesto, Lodi, Merced, Tracy, Antioch, Dixon, Woodland, Fairfield, Vacaville, Vallejo, Marysville, Yuba City, Linda, Plumas Lake, Chico, Bakersfield, San Jose, Campbell, Cupertino, Bay Area, Fairfield, Vacaville, Placer County, Sacramento County, El Dorado County, Yolo County, San Joaquin County, Sutter County, Northern California, Central California, and Placer County, and other cities and counties in California.